The Sagrada Familia in 2026 : visit this attraction with a guide. The Sagrada Familia’s constructions started in 1882, 132 years ago. The 19th of March of 1882, the Assotiation of St. Joseph’s worshipers and the architect Francesc de Paula i Villar started and adventure which end is still to be writen. And Gaudi? Gaudi was hired a year later, when the promoter decided to replace the architect after having some argument. 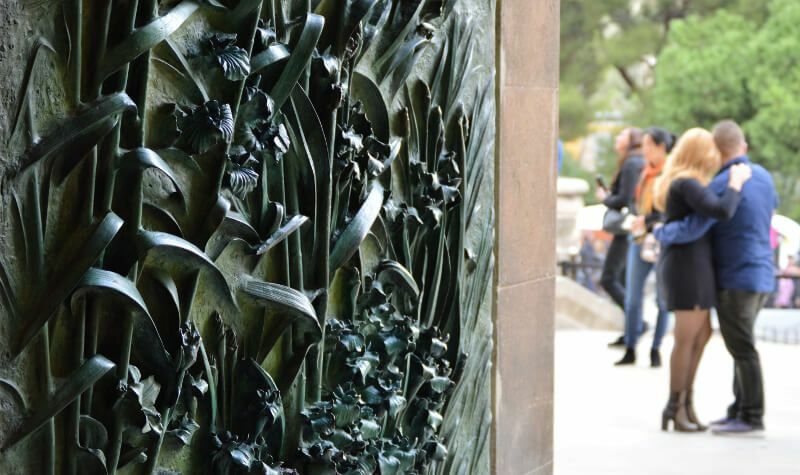 Gaudi’s idea and the courage of this Association has given to the city the most visited attraction in Spain. When I visit the Sagrada Familia with a group, one of the first questions to pop is “when is it going to be finished?”. Today, we can say the construction will end in 2026. Less than ten years ago we couldn’t make any prediction. Today, thanks to the ticket selling, the predictions have benn done. After the construction, the decoration and the big entrance will be still to be done. 2026 looks like a very distant date, but since it has been going on for 132 years, we can say we are a lucky generation. Today, we can admire eight out of the eighteen tours projected by Gaudi. The main facade, the one dedicated to the Glory of the Mankind has its main door already installed. I have to say the construction is going on very quickly and during last winter, a new Sacristy has been built. But you don’t need to wait until 2026 to see the result. The Sagrada Familia has published a video where we can admire the evolution of the construction from now to 2026. And one more anecdote: the Jesus tower will be 170 meters height because Monjuich’s hill is 172 meters hight and Gaudí did not want his work to be higher than God’s.